There’s just something truly special about Halloween. It’s a chance for kids to express themselves in so many different ways. Not to mention, it’s a whole lotta fun! 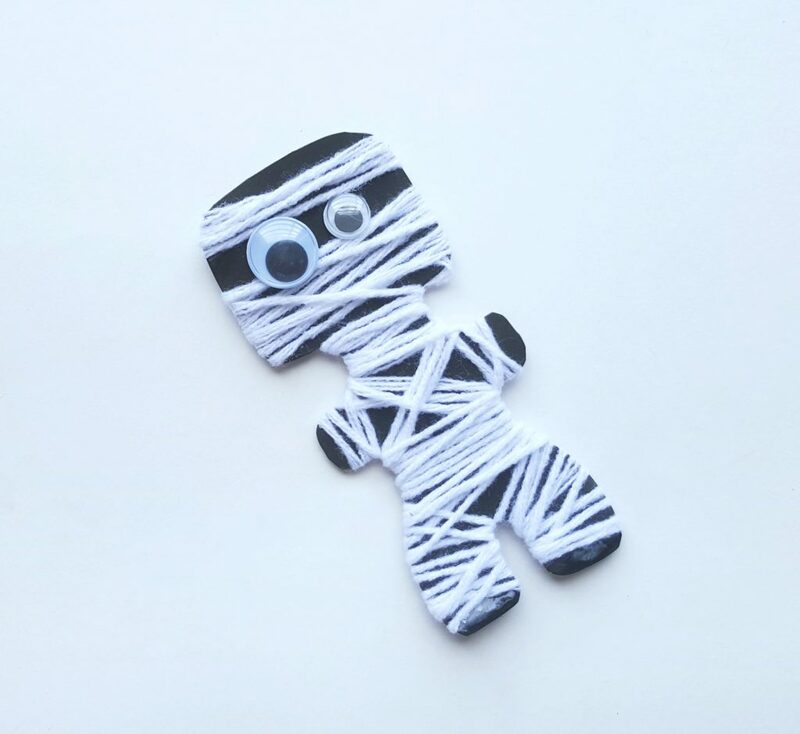 If your kids love to craft as much as mine do, they’re going to love this super cute and easy mummy Halloween craft. The best part? You only need just a few items that you probably already have at home. 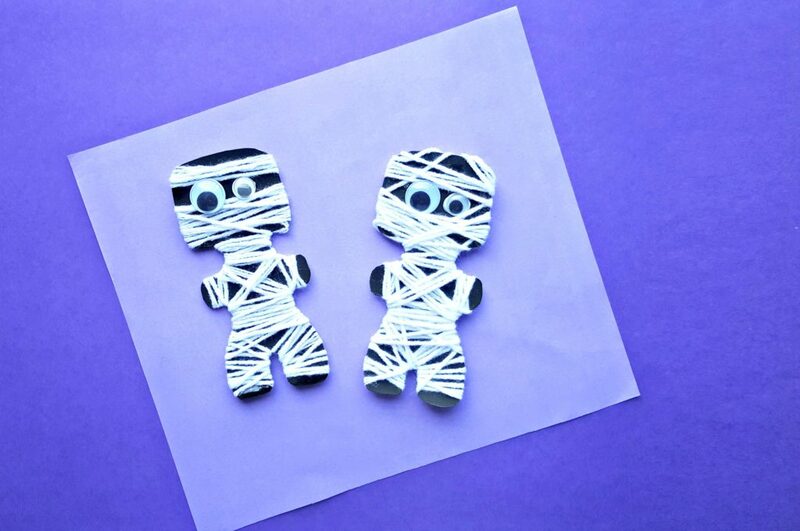 Read on for the full step-by-step instructions to make this super cute, trying to be spooky, Halloween mummy craft. If you like this craft, you might like this Jack O’ Lantern Treat Bag, Quilled Paper Monsters craft or cute Bat Treat Bag. The great part of this craft is that you only need a few things. In fact, you may already have them in your crafting bin. Whether it’s any festive day before Halloween, a kids Halloween party, or on a rainy day, they’ll love this! Who can resist googly eyes? I can’t! 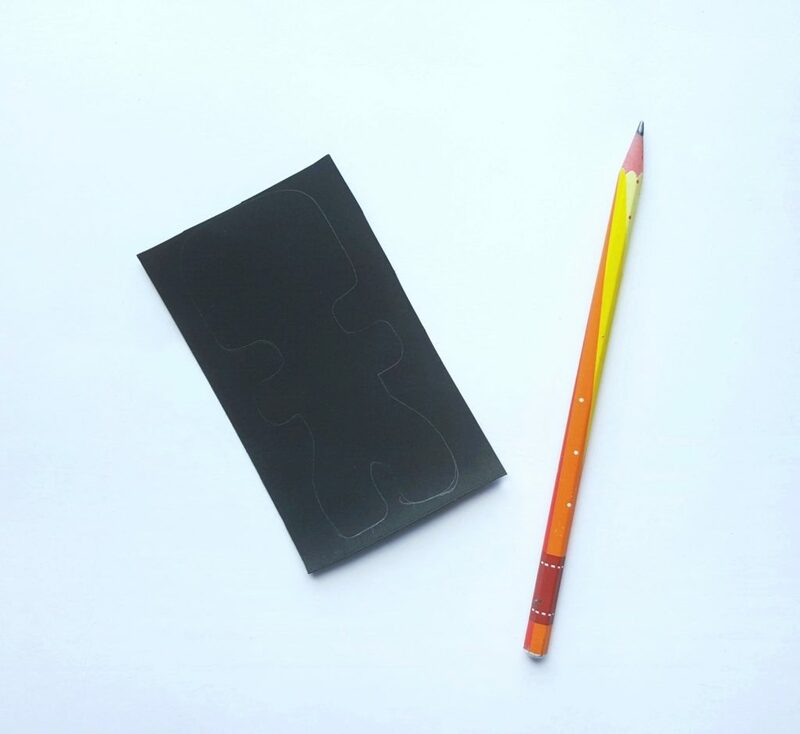 Grab the selected cardstock paper for the project and trace the pattern from the template on the cardstock paper with a pencil. Here is the TEMPLATE, make sure you print it out! 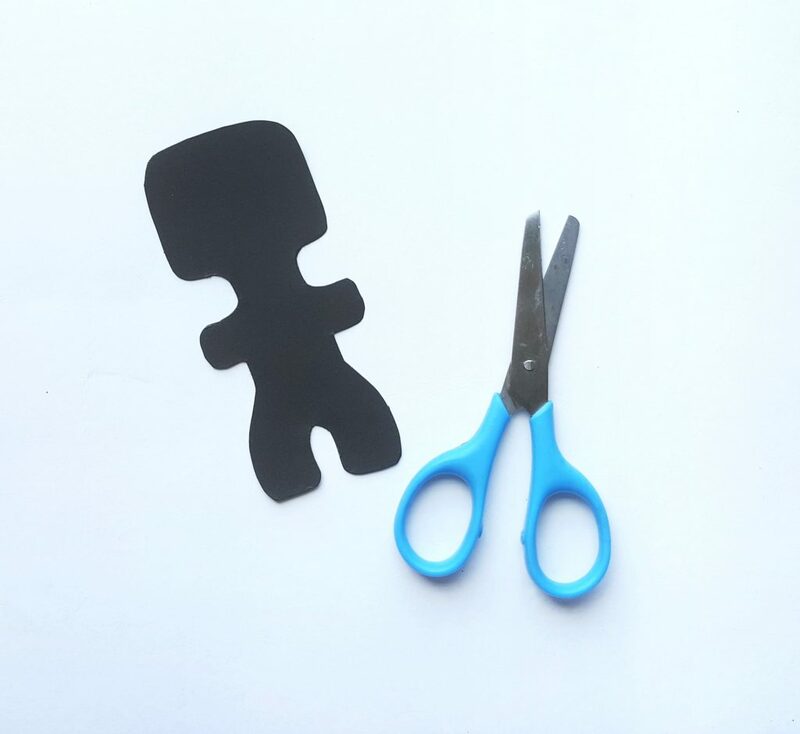 Use scissors to cut out the traced pattern from the cardstock paper. 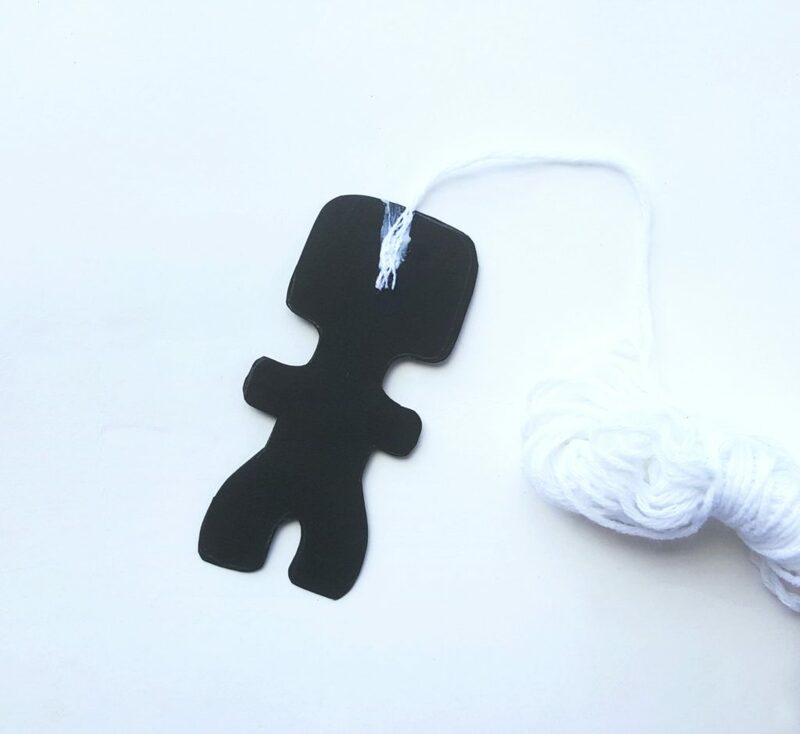 Select white yarn and glue its end with the cutout pattern’s top side. You can choose white yarn but, the world is your oyster. Choose any colour yarn that you’d like. I know kids love options, so have fun! Bring the glued yarn to the other side of the pattern. This will be the front side of the mummy. Start to wrap the yarn around the pattern. Keep space on the head part for the eyes. Move downwards while wrapping the yarn around the pattern. Wrap the hands, body, and legs one by one. Done wrapping? Bring the yarn to the other side (back side of the mummy pattern) and cut off yarn from the bundle. Keep about an inch extra at the end. 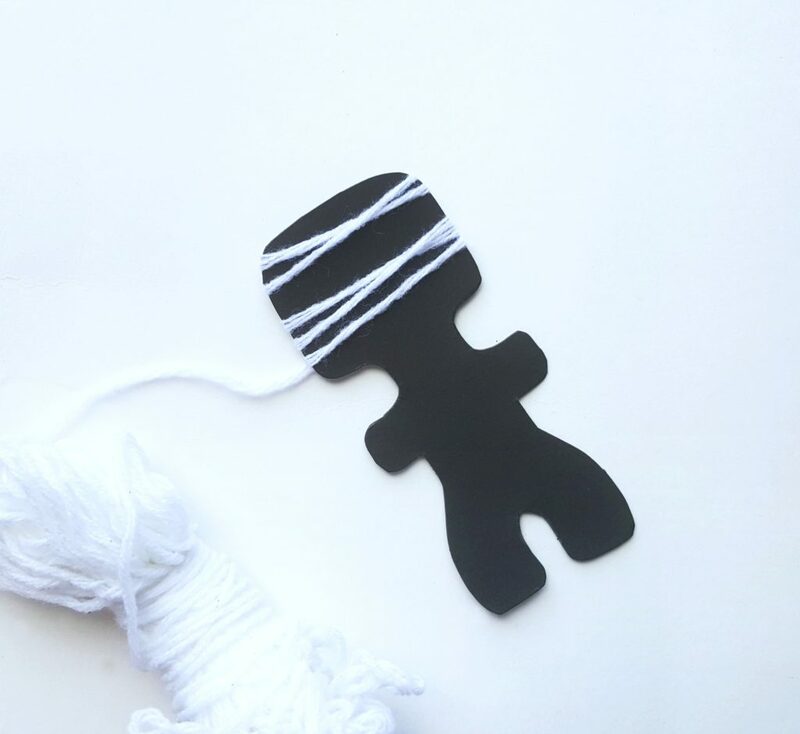 Insert the remaining end through the wrapped yarns and apply a drop of glue on them to make sure that the wrapping is secured. Select googly eyes for the mummy. We chose 2 different sized eyes! Of course, you can decide to use whichever size you want! Glue the eyes on the head part of the mummy pattern; along the space that we kept while wrapping the yarn and allow the glue to dry entirely. See what I did there? 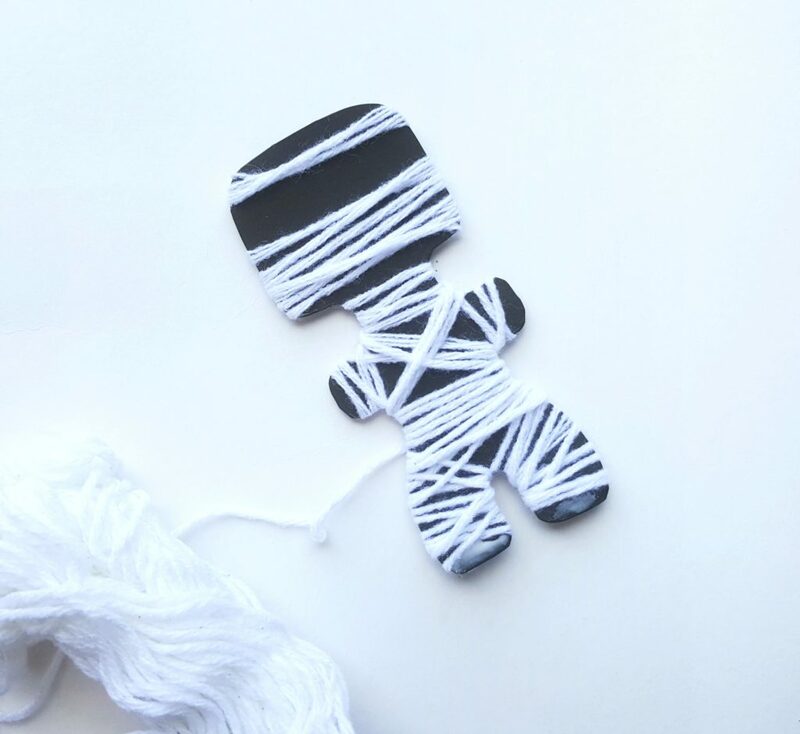 I hope you will enjoy making this super quick and easy craft. Hopefully, the kids enjoy it even more! 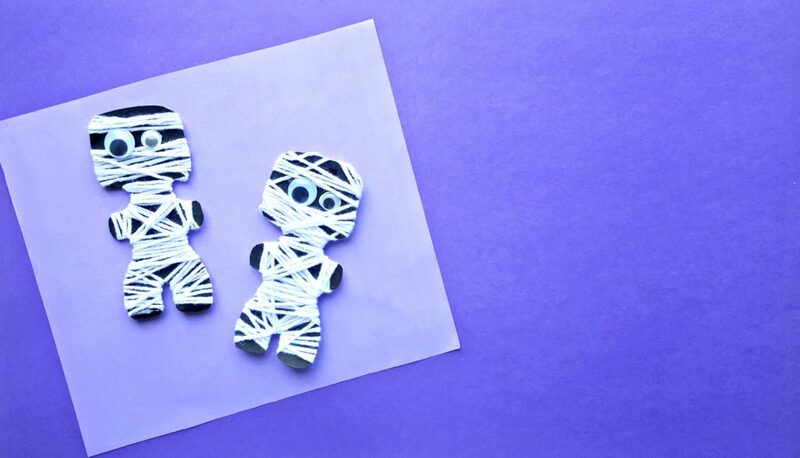 If you’re looking for more Halloween crafts, I have them for you! If you like this craft, you might like this Jack O’ Lantern Treat Bag, Quilled Paper Monsters craft or cute Bat Treat Bag. 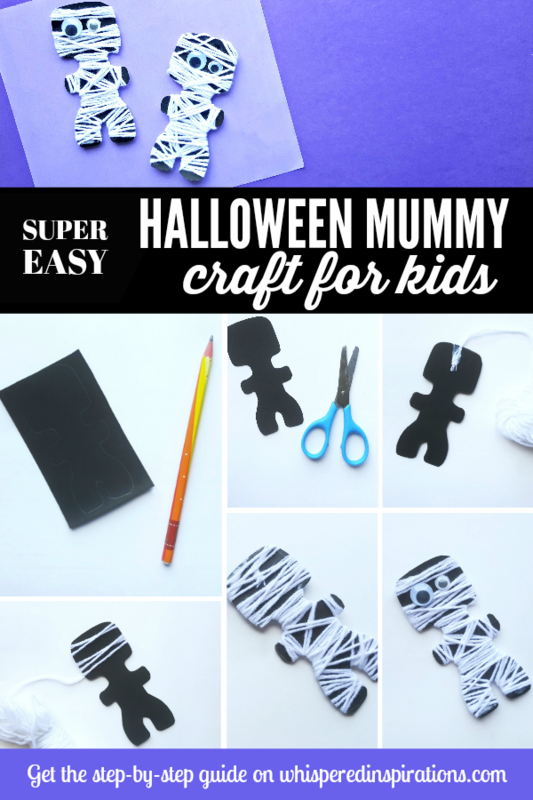 Do your kids like Halloween crafts? This is a cute idea! We are looking for crafts for a fall fest. This definitely seems doable. 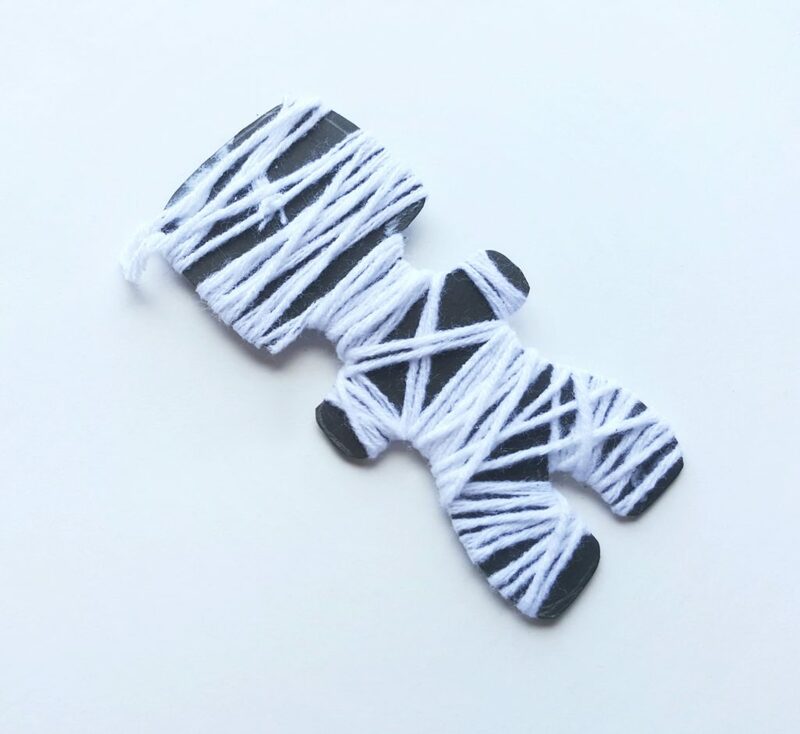 What a cute and simple craft! I love this idea for little ones for Halloween! 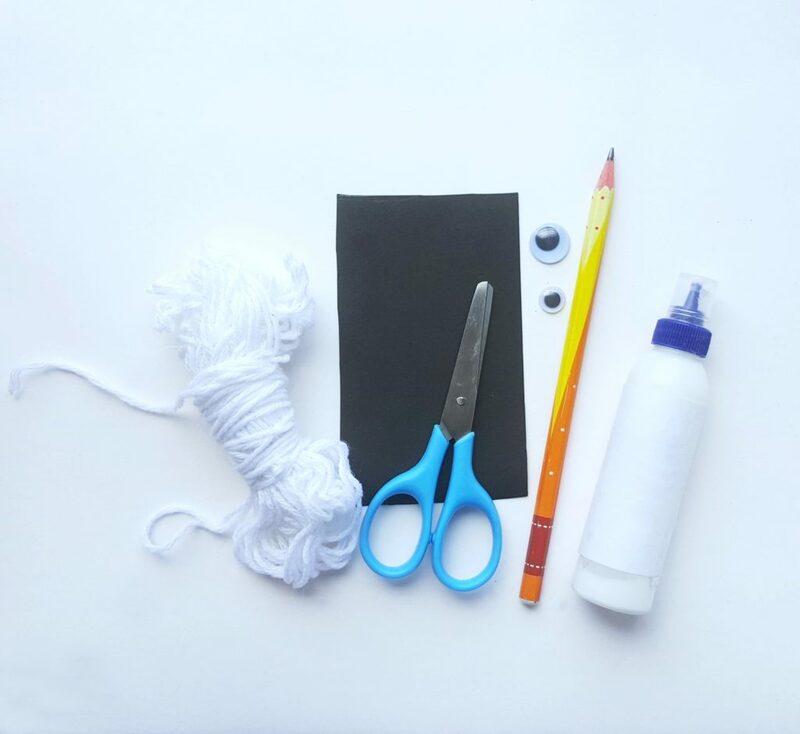 I’ve been looking for easy crafts to make with my niece because well, I am not creative. haha! This will definitely be on my list, looks so fun! So happy you can use this, it is VERY simple. This will be so much fun. 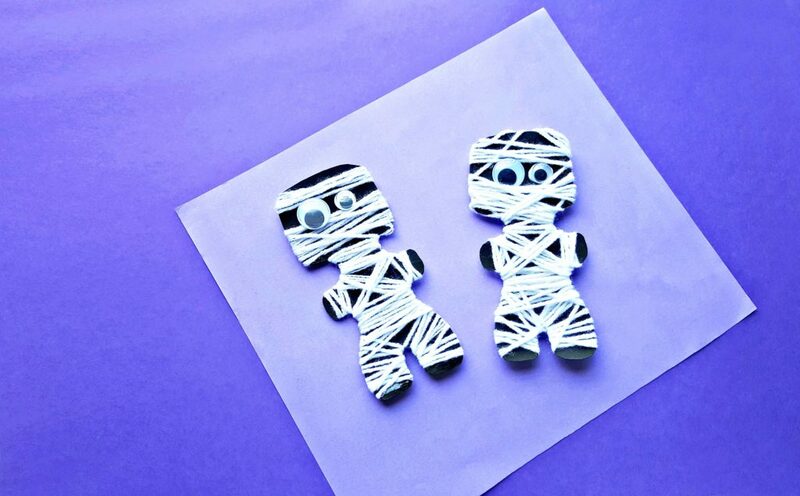 These mummies are so cute, nothing like their real identity. Especially when it comes to kids, for sure! I do have some wool and odd eyes around I think we will give this a try today,thanks for sharing they are cute! So simple, hope the kids had fun.